Today, let me show you how Vietnamese food is like a dream. Delicate. Lingering. But, also, let me show you how their food is like a celebration. Bold. Unapologetic. Before I do, call your friends and family because today’s recipe is a Vietnamese food party. The star? 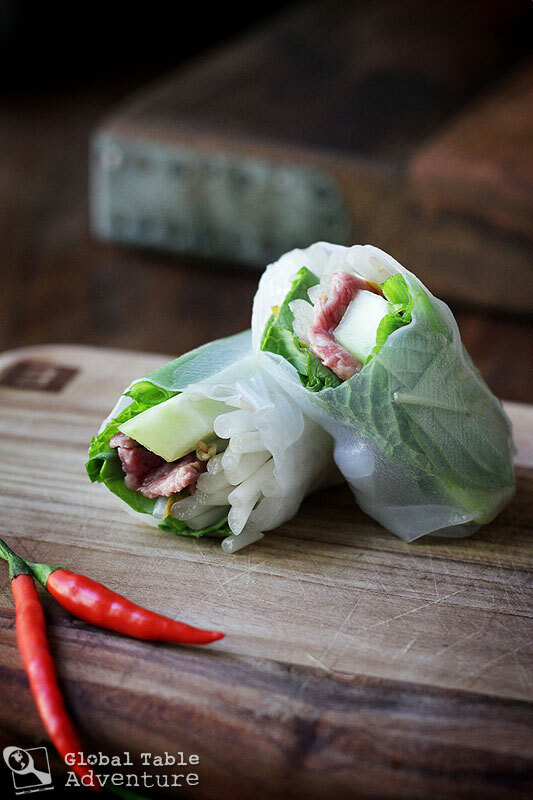 The DIY Fresh Spring Roll. 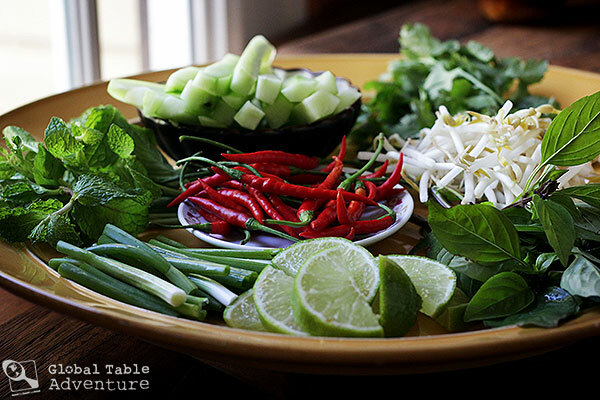 Every guest gets to pick and choose their fillings, from cucumber and sprouts, to vibrant mint, thai basil, and cilantro. 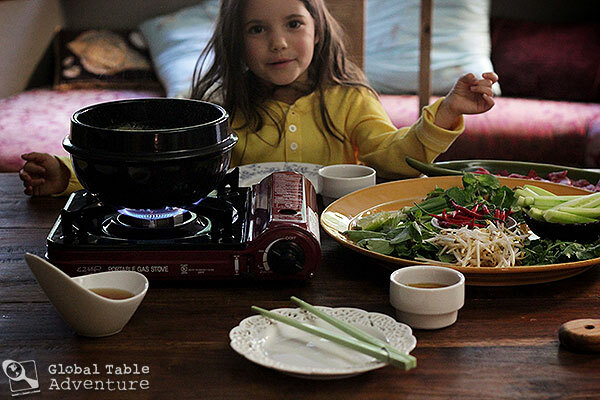 Everyone gets to cook their meat at the table in a vinegar and lemongrass broth. You can do this in a crock pot, a fondue pot, or, if you don’t have any of these, simply cook the beef in the kitchen right before dinner. 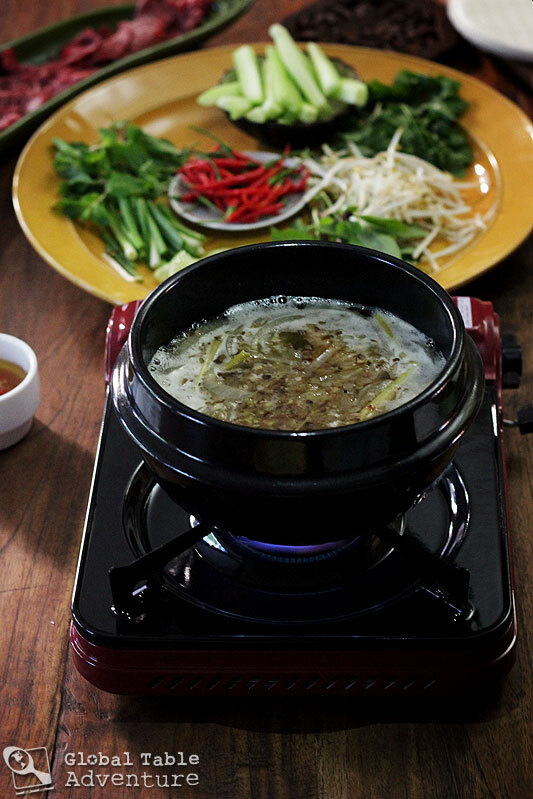 Think of Bò nhúng dấm as Vietnamese fondu… also known as hot pot. Some like to cook shrimp, others beef or pork. I’ve even heard of people cooking squid in the broth. The bets part about this recipe is that the ingredients can be prepped and gathered way ahead of your guests ringing the doorbell. 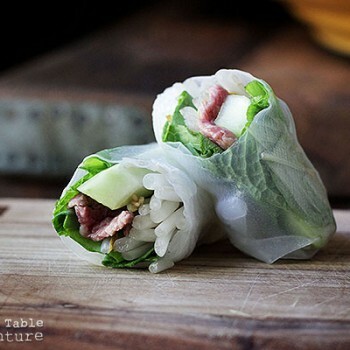 And, since everyone makes their own spring roll, you just need to provide the napkins and smiles. Oh, and one of the reasons I picked this recipe? You will be able to find all the ingredients in any big grocery store, like a Whole Foods or a Reasors (though you’ll have to substitute regular basil for Thai basil). That makes it easy for those of you living in smaller cities. While many serve this dish with a blend of pinapple and fish sauce, I rather love it with nuoc mam. I’ll post that recipe tomorrow! First, make the broth. Add the coconut water (or regular water), rice vinegar, sugar, onion, and lemongrass to a medium pot. 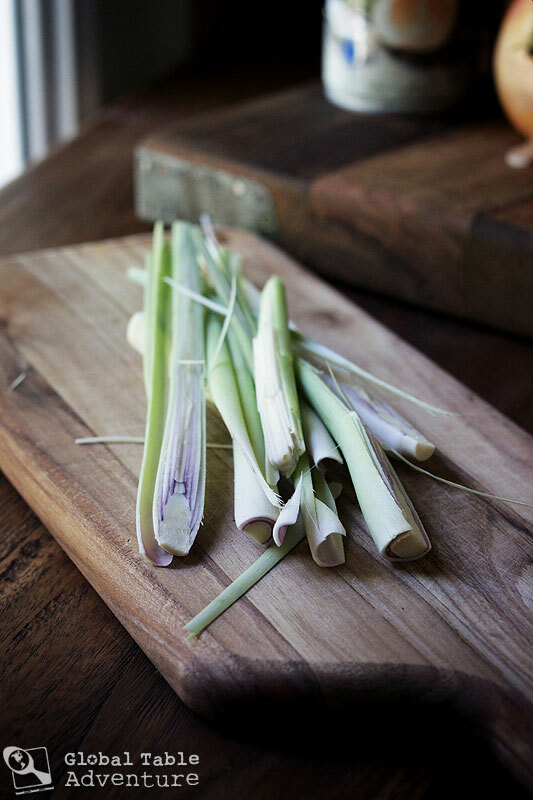 Be sure to bruise the lemongrass by bending and twisting it in your hands a few times. Bring to a boil, then remove from heat. 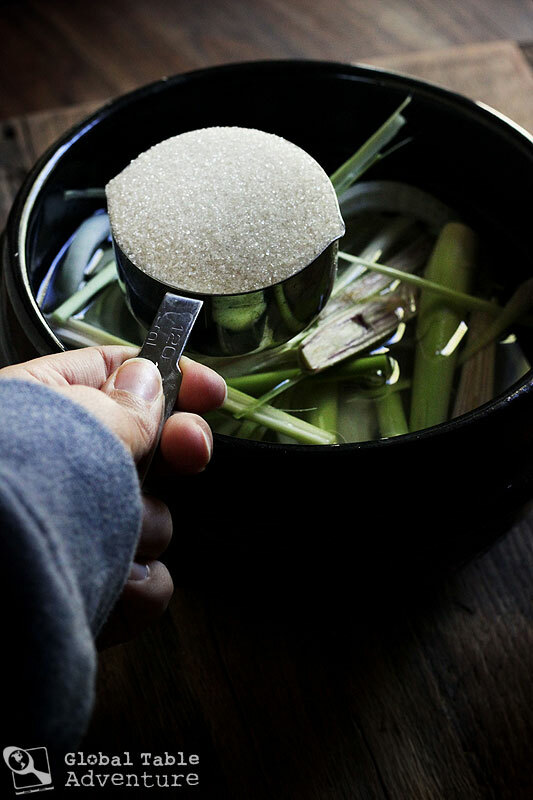 As the lemongrass steeps in the broth, the flavor will grow stronger. Tip: you can store the broth for a day or two in the refrigerator. Right before serving, fry up the shallot and garlic in some oil, then top the broth with the toasted mixture. Next, gather all your toppings. Clean them, dry them, and arrange them on a platter or in several small bowls. The cucumbers go quickly, as do the herbs. Now for the fun – assembly! … and add desired toppings. Fold over the top and bottom, then roll it up. Just like a burrito! A nice fall activity for you and your loved ones? Perhaps while overlooking a bit of Vietnam? Bến sông Son. 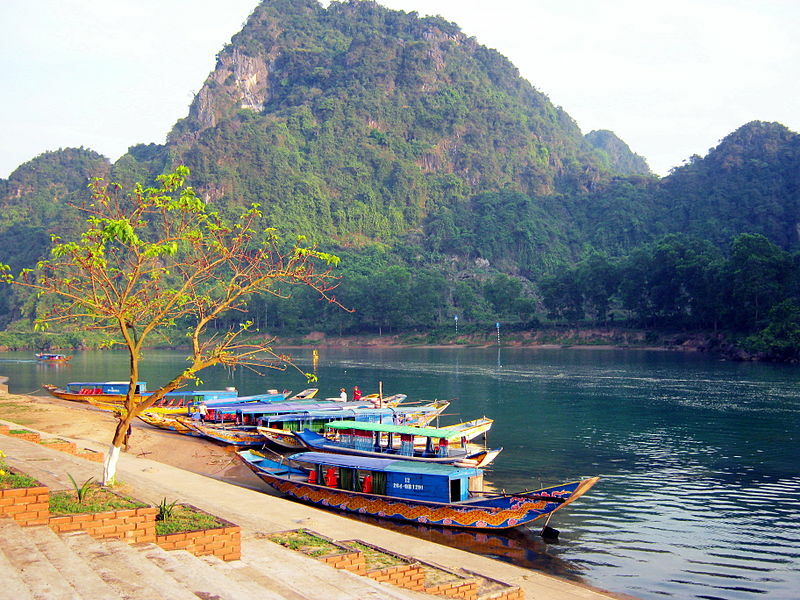 Photo by Bùi Thụy Đào Nguyên. 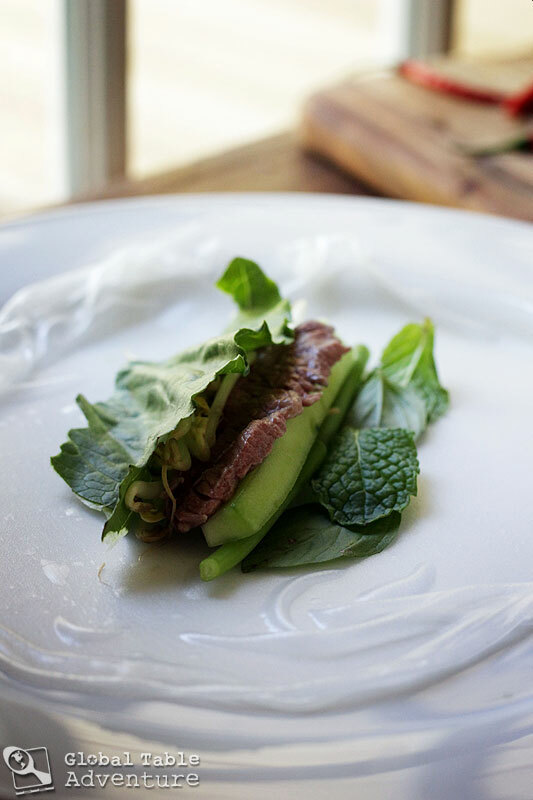 Here’s how it works: Every guest gets to pick and choose their fillings, from cucumber and sprouts, to vibrant mint, thai basil, and cilantro. The best part? Everyone gets to cook their meat at the table in a vinegar and lemongrass broth. You can do this in a crock pot, a fondue pot, or, if you don’t have any of these, simply cook the beef in the kitchen right before dinner. Think of Bò nhúng dấm as Vietnamese fondue. Some like to cook shrimp, others beef or pork. I’ve even heard of people cooking squid in the broth. The bets part about this recipe is that the ingredients can be prepped and gathered way ahead of your guests ringing the doorbell. And, since everyone makes their own spring roll, you just need to provide the napkins and smiles. Oh, and one of the reasons I picked this recipe? You will be able to find all the ingredients in any big grocery store, like a Whole Foods or a Reasors (though you’ll have to substitute regular basil for Thai basil). That makes it easy for those of you living in smaller cities. First, make the broth. Add the coconut water (or regular water), rice vinegar, sugar, onion, and lemongrass to a medium pot. Be sure to bruise the lemongrass by bending and twisting it in your hands a few times. Bring to a boil, then remove from heat. 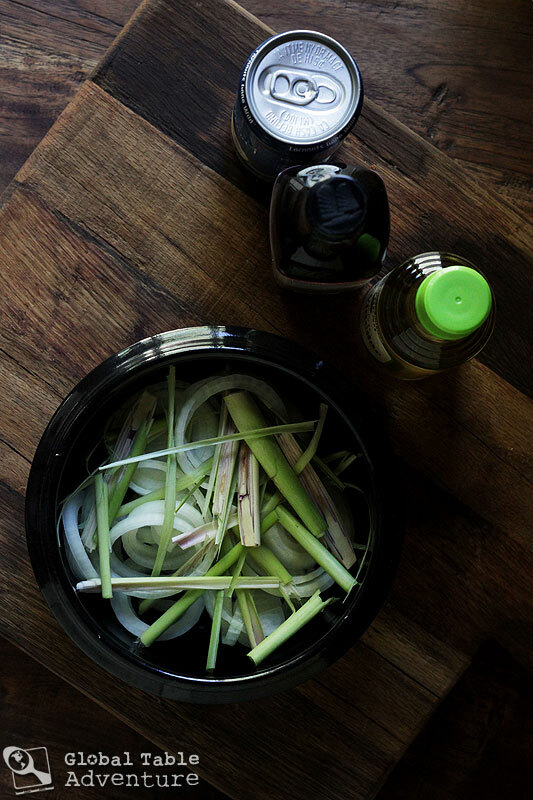 As the lemongrass steeps in the broth, the flavor will grow stronger. 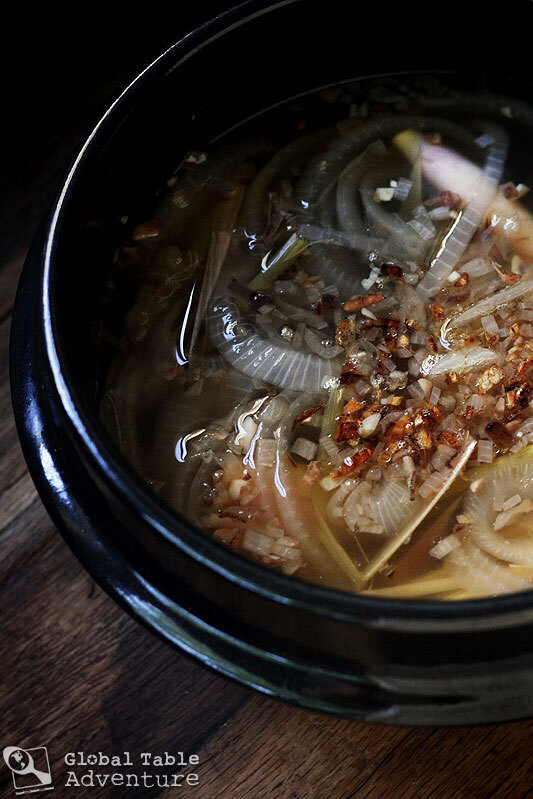 Tip: you can store the broth for a day or two in the refrigerator. Right before serving, fry up the shallot and garlic in some oil, then top the broth with the toasted mixture. Now for the fun – assembly! 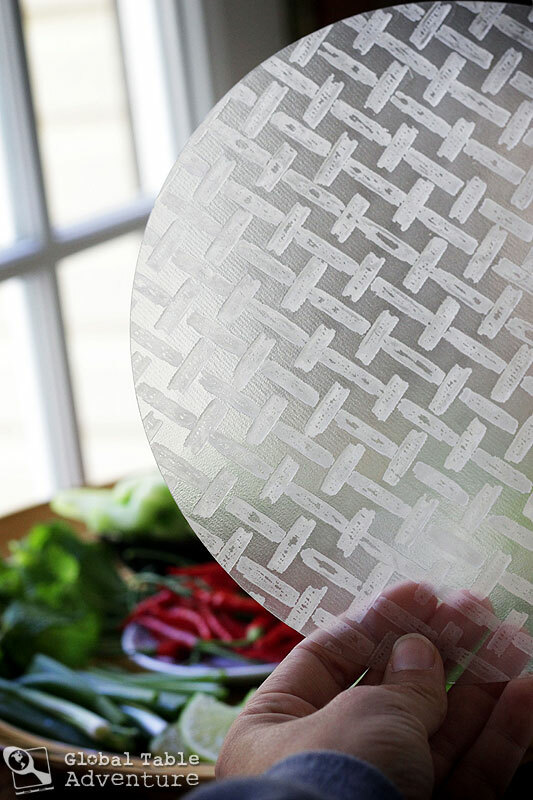 Soak the rice paper in warm water until pliable. Cook any desired meat in the hot pot and add desired toppings. Fold over the top and bottom, then roll it up. Just like a burrito! But Vietnamese. Forget meat, my favorite way to eat it is with fried tofu, sliced thin so it does not take up too much room. Oh! That sounds great – would you still use the hot pot to season it, or skip that part? “So what do you think?” sorry, doesn’t look to be something I would even want to try. Without giving away my total meal review, it’s a garden of flavor. Divine! …the broth looks like something I would take a sip to try. But I just couldn’t try the other. Probably the only thing you have cooked/prepared all these years, that I would not try. thanks for sharing this! It finally clicked – we were at a park over the summer and while most people were barbequeuing (sp? ), there was one family that had what I thought was a fondue potse tup in the middle of their table – this must have been it 🙂 yay! What was the name of the online store from which you gave a prize 2 weeks ago? I would like to visit, but alas cannot find the address…. you mention that the lemongrass contributes a stronger flavor with time, so do you remove it at some point while still dining? No, the recipes I saw all leave the aromatics in the broth, even while dipping the beef or other ingredients. In this case, stronger lemongrass is better. Never been a fan of Burritos or Vietnamese food. but this presentation is absolutely lovely. Fresh and healthy, maybe with the possible exception of the half cup of sugar. Anything more than a tablespoon of sugar makes me very nervous these days. My feeling is that it is the broth with the heady aroma of lemon grass that makes that spring roll great. But I am willing to try it. Lovely presentation and great photography. Good to know Sasha. Thanks. we call this meal lau which is hot pot. this would typically be part of something called bò bảy món which means 7 courses of beef. i recall my parents making the broth out of beer instead of coconut juice. i adore lau, especially now that the weather has cooled. it’s wonderful meal shared with friends and family. your presentation is beautiful. Chinese hot pots are something like this, and the best part is eating the broth after all the meat has cooked in it. I bet your broth would make a delicious soup at the end of the meal! Or would it? 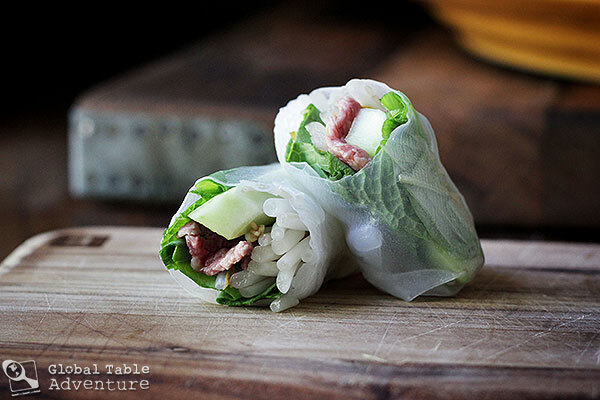 Half Vietnamese here, we call the spring rolls gỏi cuốn. I usually eat these with Vietnamese peanut sauce. I live in Oklahoma too.